I have no idea how October has come around so quickly but I couldn’t be happier. October is home of my favourite celebration, Halloween. I know it’s only the first of the month but it’s never too early to start your Halloween preparations. I’m dedicating this month’s Bookish Buys for October to Halloween and all the gothic literary glory that comes with it. Welcome to my Bookish Buys Halloween Special! 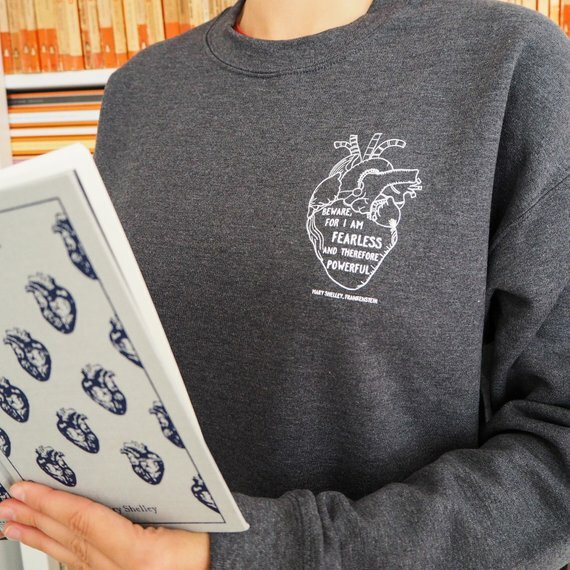 Buy your sweatshirt from Etsy. What’s better than storage to hide all your little bits and bobs? Storage that looks like books! This cute and creepy palmistry storage box looks like a box but is perfect for hiding all your trinkets or small valuables that you want to keep in a safe place. It measures 21cm x Width 16cm x Height 5cm and is made of a distressed style MDF. 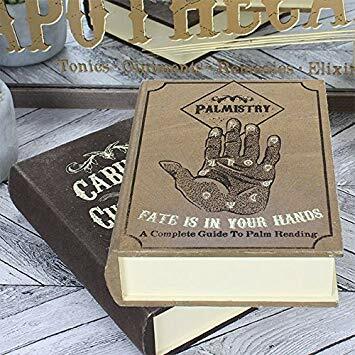 Buy your palmistry storage box from Amazon. I went to London Tattoo Convention this past weekend and discovered the stunning merchandise from The Blackened Teeth on Etsy. Apart from falling in love with the spine lamp, it was these skull bookends that really caught my eye. Handmade from plaster and available in a ton of different colours these are a goth reading room must have. 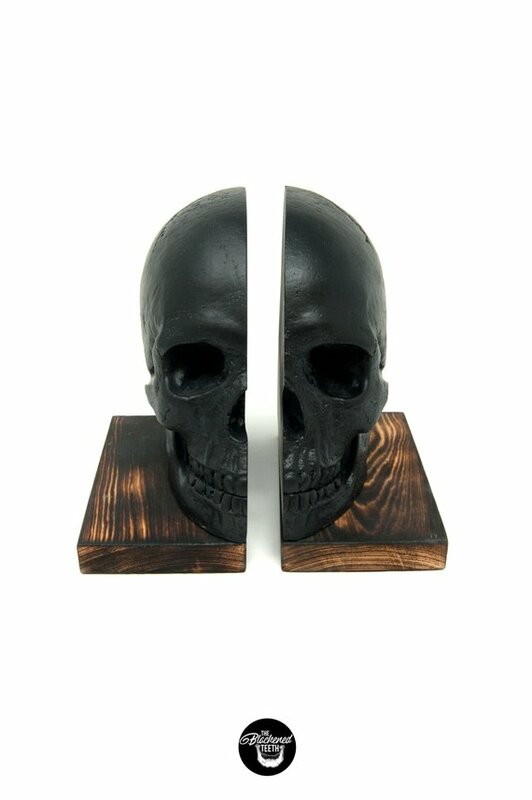 Buy your skull bookends from Etsy now. Oh yeah, I’m going there! 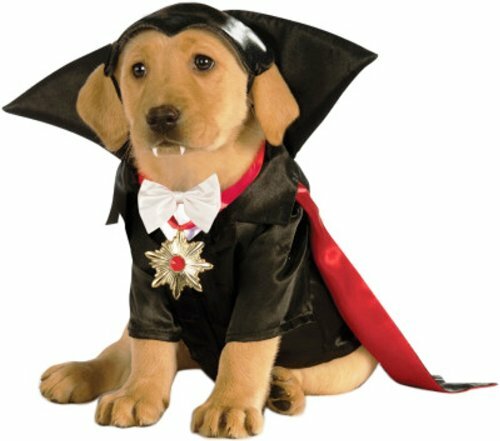 There’s no need to leave your canine pals out of Halloween celebrations when you can dress them up as your favourite literary monster, Dracula. Let’s be honest, there’s no point in you dressing up for Halloween if you get this for your dog, no one will be looking at you, it’ll be all about your pooch. Available in S, M, L and XL there’s likely one to fit your dog and if Dracula isn’t for you there;’s a Frankenstein version too. Buy your Dracula dog costume from Amazon now. This Stephen King IT art print from Etsy seller Archive Film Posters is beautiful in its simplicity. If you know the story if IT then you’ll realise just how sinister the minimalism of this A3 poster is. For low-key horror vibes, this is perfect. 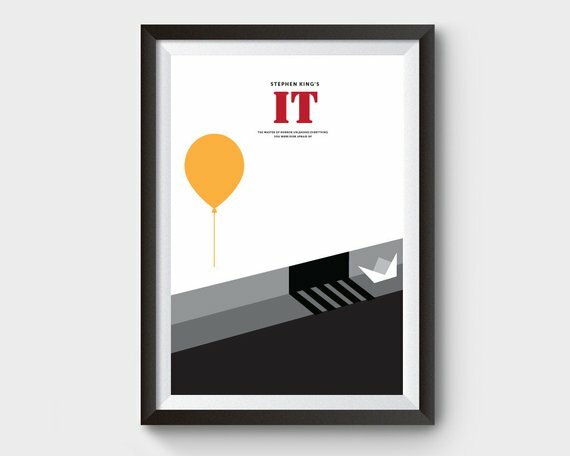 Buy your IT poster from Etsy. Tim Burton’s The Nightmare Before Christmas is a classic Halloween book as well as a movie but now you can treat yourself or someone else with a personalised illustrated copy of the book. The chosen name will be included on the cover, in the text and in the illustrations, you can also add a message at the front too. Introduce kids to Halloweentown in the best way ever or treat someone who already loves it, either way, this is great. 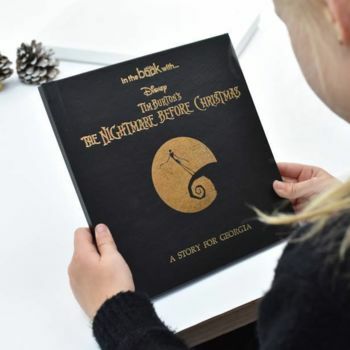 Buy your personalised copy of The Nightmare Before Christmas book from Not on the Highstreet. 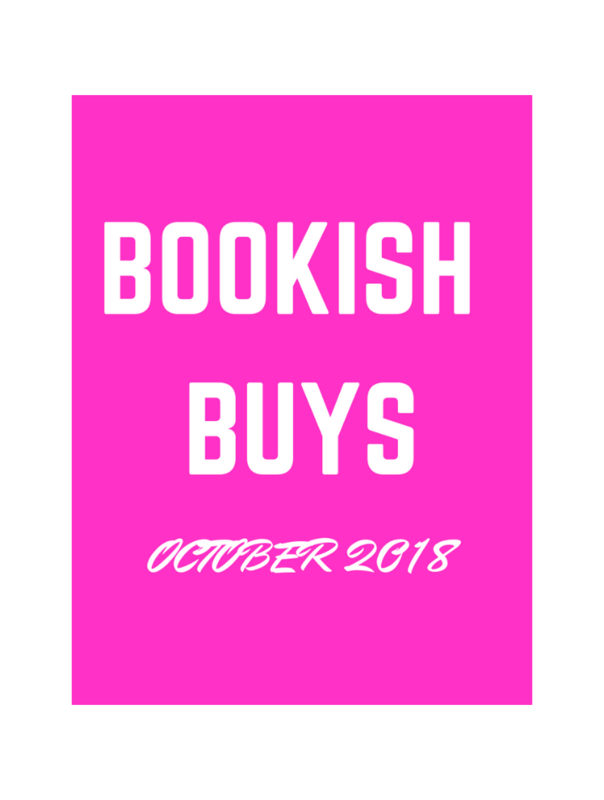 If you enjoyed my Bookish Buys Halloween Special check out my Bookish Buys for September 2018.